Steve Perry has been away for quite a while but he’s never really been gone. From the unforgettable use of “Don’t Stop Believin'” on the last “The Sopranos” episode to the way his former band found a new, sound-alike singer on the internet and, last year, Journey’s induction into the Rock & Roll Hall of Fame, Perry and his prolonged absence have been often on our minds. 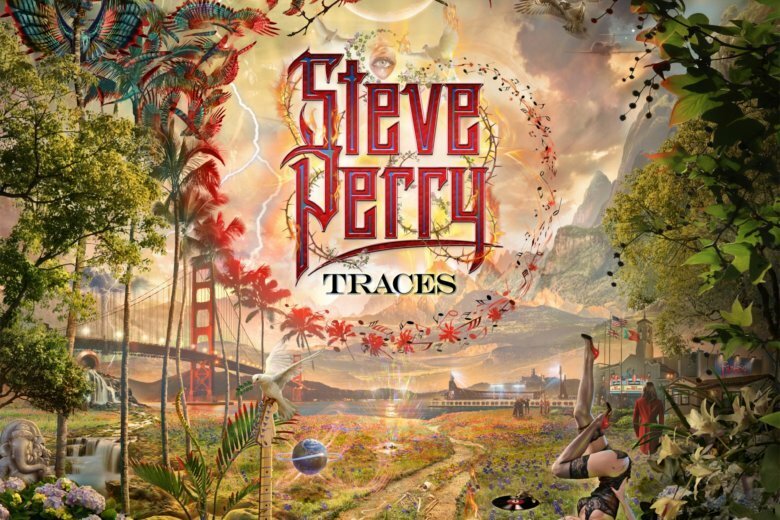 “Traces” is Perry’s first solo album since 1994 and, cliched as it may sound, it really is a very personal work with some songs that would have sounded out of place on a Journey record. Made in part to fulfill a promise to his partner who succumbed to breast cancer in 2012, “Traces” is dominated by ballads in many guises by someone whose quasi-operatic voice made him one of their most memorable interpreters. Launching with the first single, “No Erasin’,” immediately injects “Traces” with nostalgia through an updated recreation of a teenage love with an unerringly precise opening line — “I know it’s been a long time comin’.” Perry has said the song was meant to evoke a high school reunion and — along with “We’re Still Here” and “Sun Shines Gray” — it’s the one that most resembles a Journey track. On “Easy To Love,” Perry’s lead vocals have just a touch of Rod Stewart’s gruffness while his backing vocals are satin smooth and George Harrison’s “I Need You” is transformed into a heartfelt soul ballad. Breaking his long silence in such a memorable way, “Traces” shows that for Perry retuning to music was about much more than keeping his word.